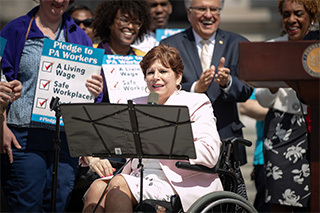 State and municipal employees deserve the same workplace safety protections as the rest of Pennsylvania’s workforce, Senator Tartaglione said as she joined the Service Employees International Union, other legislators, and labor advocates for an April 9 rally on the Capitol steps. The SEIU recognized Senator Tartaglione for her longtime support of labor causes, including her primary sponsorship of Senate Bill 464, which proposes a new Occupational Safety and Health Review Board in Pennsylvania. In 1970, the federal government adopted the Occupational Safety and Health Act, which sets safety standards and enforcement protocols for the nation’s private-sector and federal employers. But public employees on the state and local level, including school and transit agency workers, were excluded from OSHA, as were non-profit employees. S.B. 464 would provide safety protections for about 78,000 state employees and thousands more public workers at the local level. 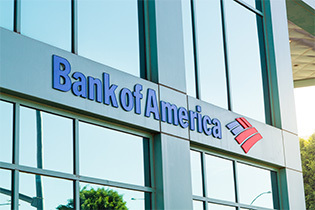 Bank of America made a big media splash on April 9 when it announced it would raise its minimum wage to $20 an hour over the next two years. But commentators were quick to question the company’s motivation for the new policy, considering Chairman and CEO Brian Moynihan was scheduled to testify before a Congressional committee one day later. During the Capitol Hill hearing, members of the House Financial Services Committee peppered Moynihan and the chief executives of six other large U.S. banks with questions about pay disparities, diversity, customer fees, student debt, and even their historical role in slavery. As the nation’s second-largest bank behind J.P. Morgan Chase, Bank of America employs more than 205,000 people. The company did not state how many workers now earn less than $20 an hour. Two years ago, it raised its minimum wage $15, “and the minimum wage is higher today,” the company said in a news release. The rate will reach $17 on May 1 and $20 in 2021. Based on a 40-hour week, a full-time worker would make $41,600 a year at $20 per hour. Among many widely reported exchanges during the hearing, one Congresswoman reminded Citigroup CEO Michael Corbat that he received $24 million in compensation last year, 486 times greater than the bank’s median employee salary. Moynihan made $23 million in 2017, about 250 times the median employee that year. Banks have largely repaid the billions of dollars in taxpayer bailouts they collected during the Great Recession, according to the Washington Post. But the 2017 federal tax overhaul has translated into tens of billions in tax savings for the nation’s largest banks. According to a Bloomberg report in February, “the 23 U.S. banks the Federal Reserve deems most important to the nation’s economy” shaved about $21 billion from their 2018 tax bills. Meanwhile, Politico reports that Bank of America launched a year-long plan last summer to buy back $20 billion of its own stock. Adopting a less-scientific, yet no less compelling analysis of the minimum wage issue, PennLive investigated how the proposed increase in Pennsylvania’s minimum wage might affect the price and availability of pizza in the Commonwealth. The news organization found little or no impact in other places where wages are already higher. The basis for the April 9 article was that many opponents of raising the minimum wage argue that higher wages will cause consumer prices to go up, profit margins to shrink, workers to lose their jobs, and businesses to fail. PennLive decided to test this theory by surveying Pennsylvania’s neighboring states, all six of which have raised their minimum wages above the Commonwealth’s current $7.25 rate. 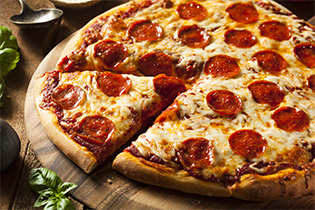 In terms of the cost of pizza, PennLive analyzed prices in the capital cities of Pennsylvania and its six surrounding states. Using an analogy of a three-legged stool with a missing leg, Forbes contributor Ed Rensi – the former McDonald’s president and CEO – has offered a rare insider’s take on the possible strategy behind his former company’s recent retreat on the minimum wage issue, as well as how that new non-opposition policy might harm its relationship with franchise owners and their suppliers. In short, Rensi suggested that the corporation and its shareholders would stand to benefit financially – at least in the short term – even as franchises stew over higher payroll costs. 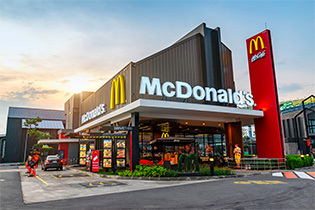 In a March 26 letter to the National Restaurant Association, a McDonald’s executive wrote that the company would no longer “use its resources … to oppose minimum wage increases at the federal, state, or local level,” Rensi stated in his Forbes column. Workplace harassment is the primary target of new legislation introduced in both chambers of Congress. The Senate version known as the BE HEARD Act proposes to eliminate the tipped minimum wage and instruct the Equal Employment Opportunity Commission “to convene a harassment prevention task force that includes business leaders, researchers, employee advocates, and others,” CNN reported. Numerous civil rights and progressive groups have endorsed the legislation, including the ACLU, NAACP, Human Rights Campaign, Center for American Progress, National Women’s Law Center, and National Domestic Workers Alliance. The federal bills emerged weeks after Democrats in the Pennsylvania Senate and House introduced state legislation to curb workplace harassment. The package of bills would extend the Human Relations Act to cover contract employees, interns and domestic workers; add sexual orientation and gender expression or identity to the classifications protected under the Act; mandate employee training and informational postings; expand whistleblower protections; and require employers to adopt written anti-harassment policies and reporting procedures. Although American manufacturing jobs have surged in the last two years due to a combination of global economic factors and federal government policy initiatives, the recent growth may be waning because of some of those same administrative policies, according to a new report by The New York Times. In February, employment growth for the sector – 4,000 jobs – was its weakest in more than a year. 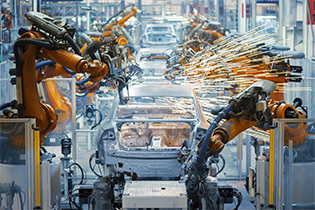 ADP payroll data for March showed a decline in factory workers. General Motors cut 14,000 jobs when it shut down its Lordstown, Ohio, factory. “American manufacturers are being battered from all sides: by tariffs that are driving up their costs, by cooling growth in China and Europe that is hurting demands for exports, and by the waning effects of the tax cuts and government spending increases that pumped up growth last year,” the newspaper reported. While an “outright collapse” in manufacturing is unlikely judging by low unemployment, rising wages, and high consumer confidence, businesses are becoming more reluctant to take on large expenditures due to concerns about other factors such as rising interest rates, stock market volatility, the administration’s lingering trade war with China, and the impact of Brexit on the European economy. On Monday, April 15, at noon, the Keystone Mountain Lakes Regional Council of Carpenters will host a rally at the Pennsylvania Capitol to speak out against construction industry tax fraud. This rally is part of a National Day of Action that will also include events in Pittsburgh; Philadelphia; Washington, D.C.; and other cities throughout the region. 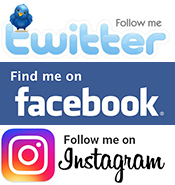 For information click here. The Pennsylvania Senate is scheduled to reconvene on Monday, April 29, at 1 p.m.; Tuesday, April 30, at 1 p.m.; and Wednesday, May 1, at 11 a.m. For the full Senate schedule click here. To watch the Senate live, click here. The Senate Labor and Industry Committee is scheduled to meet on April 30 to consider the re-nomination of W. Gerard Oleksiak as Secretary for the Department of Labor and Industry. S.B. 304 (Baker) – Approved unanimously and reported as committed to the full Senate. This bill would protect the Unemployment Compensation rights of spouses of active-duty members of the United States Armed Forces. It would dictate that a military spouse shall not be disqualified from UC eligibility for voluntarily leaving a job to accompany an active-duty husband or wife who is required to relocate due to a permanent change of station orders, activation orders, or unit deployment orders and such relocation would make it impractical or unreasonably difficult for the spouse to continue in his or her job. S.B. 453 (J. Ward) – Approved 5-3 and reported as committed to the full Senate. This bill would provide an exemption for barns and other agriculture buildings from the requirements of the Uniform Construction Code (UCC) provided that the building meets basic safety standards. S.B. 222 (Hughes) – Would strengthen collective bargaining in the Commonwealth by attempting to streamline the election process and require access for new employees to certified unions in order for them to explain the benefits of union membership. S.B. 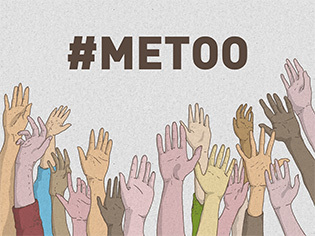 480 (Collett) – Would enact reforms to the #MeToo PA General Assembly Act, including: the establishment of procedures for keeping the investigatory, prosecutorial, and adjudicatory functions separate; the establishment of a new section of procedures for promulgating temporary regulations; combining the settlement provisions with provisions relating to the source of payment, the personal liability of elected officials, and the payment of awards; and Various other technical and conforming changes to the bill. Senator Tartaglione joined Jeff Wadden of the Service Employees International Union and labor advocates at the Capitol for a rally to promote workplace safety, including Senate Bill 464, which would create the Occupational Safety and Health Review Board in Pennsylvania.